We are licensed to perform your vehicle's inspection as an official Virginia Inspection Station. 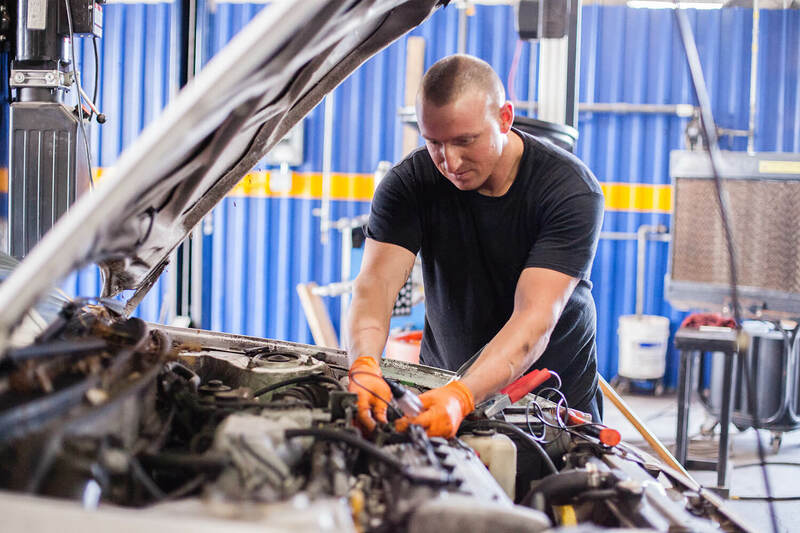 Learn more about our services and why you should choose us as your trusted Richmond mechanics for all your cars needs. Car safety inspections don’t take a lot of time to complete. Nor do they cost a lot – just $16 for most vehicles. But that inspection covers a lot of components and systems on your car or truck – things that you rely upon every day. When you and your vehicle pass a Virginia inspection, it’s something you can feel good about. The time it takes for a Virginia State Inspection to be completed depends on a number of factors; inspectors experience, how fast they work, and the type of vehicle being inspected. We are an official certified Vehicle Inspection Station so we take your time seriously. Contact us to schedule your inspection. Once your car has passed inspection, we’ll affix the approval sticker to your windshield. If your car doesn’t pass, any defects must be corrected – and your car must pass inspection – within 15 days. Don’t worry – our full-service repair shops and expert mechanics have what it takes to correct any issue. If you’re due for a Virginia car safety inspection, call Aarrow Transmission today at 804-794-2400 (South Richmond-Midlothian) or 804-364-2500 (Glen Allen-Short Pump).